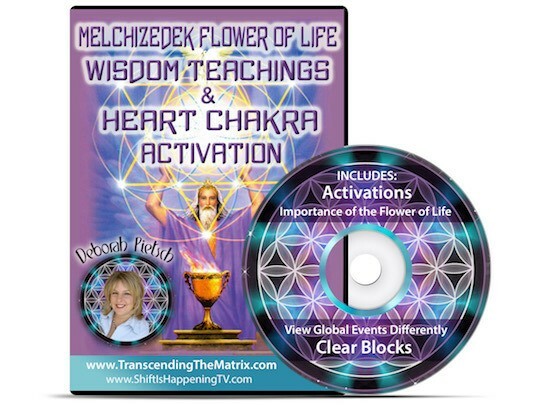 Through telepathic conversation with your Higher Self and Being of Light Guides, as well as advanced work with your Holographic Field, Deb will provided detailed information, Insights, Activations, Clearings and more during your session. Please read all details below about how too book and what is required in order to prepare for a session. You will not be the same afterwards! Choose from the available payment plans. An email will be sent with an invoice to make payment at the specified interval. We do not save your payment details. The Private Session will be available at the end of the payment plan unless alternative arrangements are made. 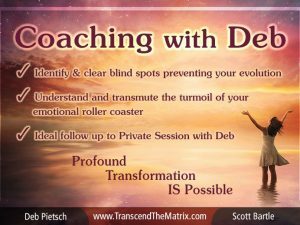 I’ve been fortunate enough to have private sessions with Deb at various important turning points and moments in my life for more than five years. The first time I heard Deb speak was over a ‘group call’, and I knew immediately that she was someone special, someone who had integrity, insight and an undeniable connection to trusted guides and important wisdom. Most importantly, she shared with intuitive bluntness, love, light and humour. I cannot tell you how highly I value each and every private session, and in fact every interaction I have ever had with Deb (and her delightful husband Scott), and as such I highly recommend you email her today to lock in at least one session with Deb. You’re sure to find it to be a life-changing experience, like I did.